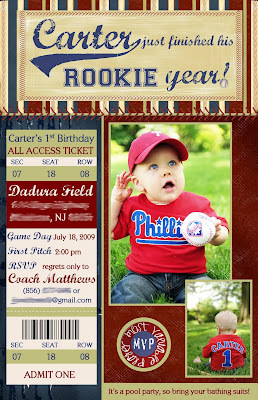 I can't even believe that I just ordered Carter's first birthday invitations. CAN'T BELIEVE IT. The party planning is well under way and it didn't take long for it to get out of control... that's just how my family is. When we throw a party- it's gonna be big. I won't get into it now, as it certainly deserves a post of its own. 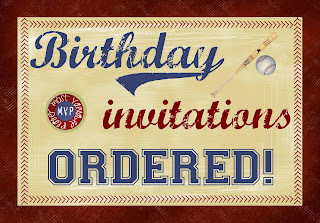 But I can't wait to share with you all of the ideas that we have for the party!! oh my gosh that is so cute!! I hope he has a great birtday! its just another year closer until he realizes he really wants to live with his cool aunt kacy. Love them! 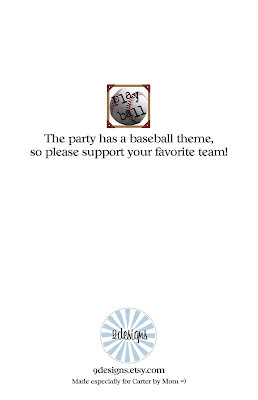 Perfect Theme! Thanks again for mine! I am so excited, our first one is next week, just did the goody bags and stuffed the pinata...I am ALSO out of control! Can't wait to hear the rest of the details!